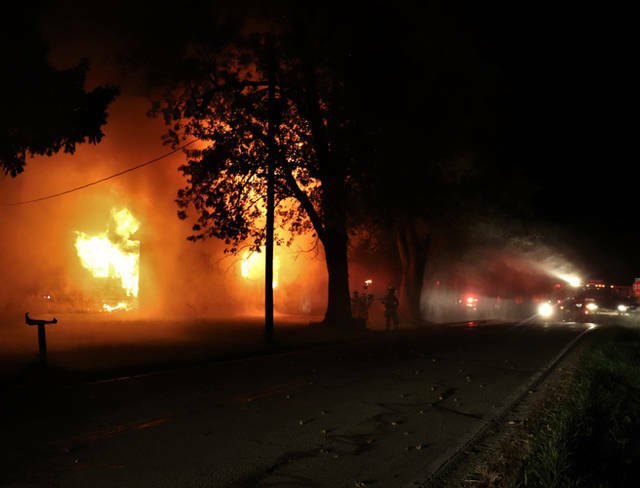 A house that had been vacant for multiple years and had no electricity or any other utilities running to it was destroyed in a Tuesday night fire. 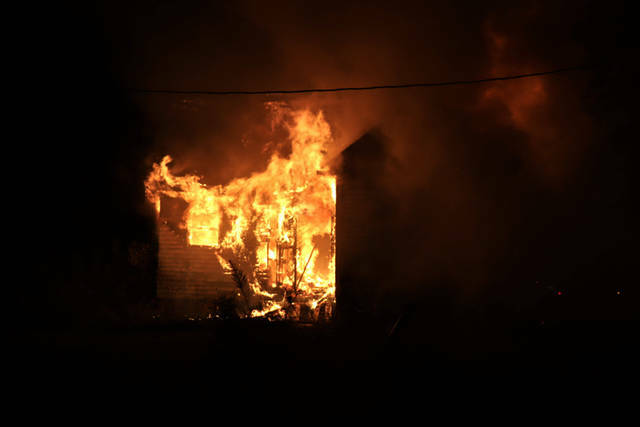 GREENVILLE – A house that stood vacant for multiple years was destroyed Tuesday evening in a three-alarm fire. 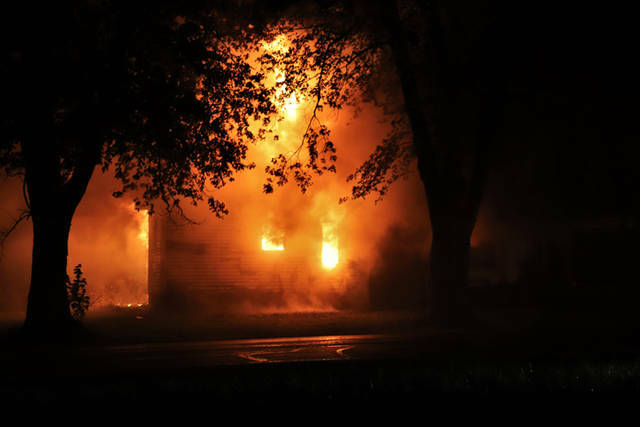 At approximately 7:30 p.m., emergency personnel from Greenville Township Fire Department and Union City Rescue along with deputies from the Darke County Sheriff’s Department were dispatched to 6501 New Madison-Coletown Road in regards to a working structure fire. Arriving crews, finding heavy smoke and flames showing, called for a second and eventually a third alarm for additional manpower and equipment. 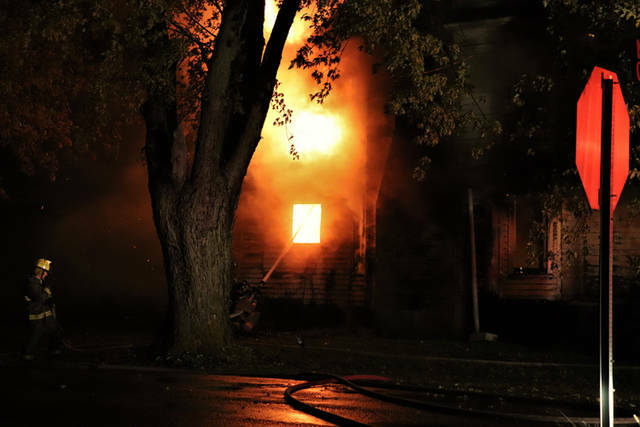 Crews from across Darke County worked quickly to knock down the fire that spread throughout the first and second floors of the structure. 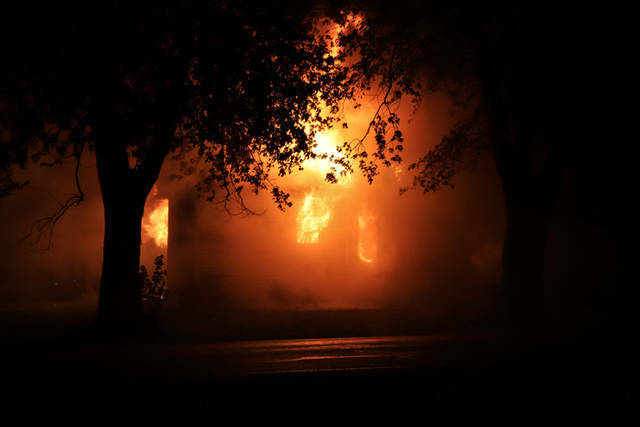 The house, located at the corner of State Route 502 and New Madison-Coletown Road, has been vacant for multiple years and had no electricity or any other utilities running to it, according to officials on the scene. 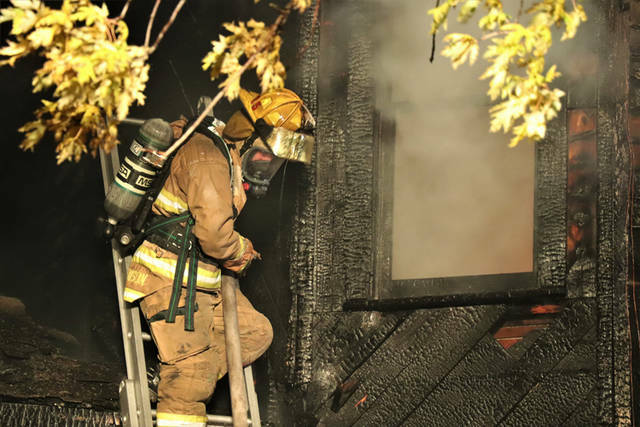 Investigators were called to the scene to help determine a cause and nature of the fire. 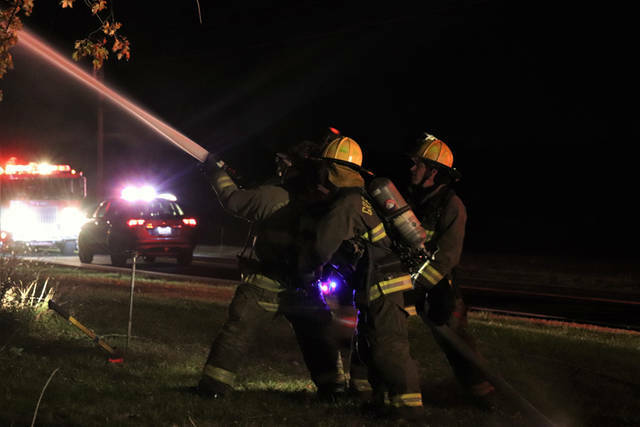 The incident will remain under investigation by the Greenville Township Fire Department. 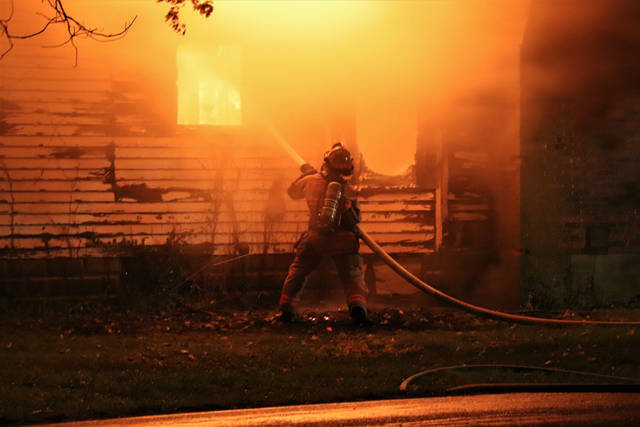 This entry was tagged Darke County Sheriff’s Department, fire, Greenville, Greenville Township Fire Department, Union City Rescue. Bookmark the permalink.